EControl Form Designer Pro is based on the same concepts as Delphi's form designer and it has similar to Delphi interface elements. 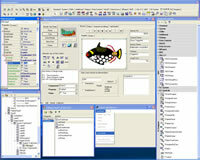 It is possible to create design environment in any interface type: MDI, SDI, BDS style, etc. Library consist of 16 components which helps in creating professional designer IDE. Component palette and packages managing dialogs. 1. SCADA applications, Industrial automation. 2. Database applications which need to be extendable by users. 4. All others branches where runtime extensions are required. Integration with scripts allows creating full featured IDE. 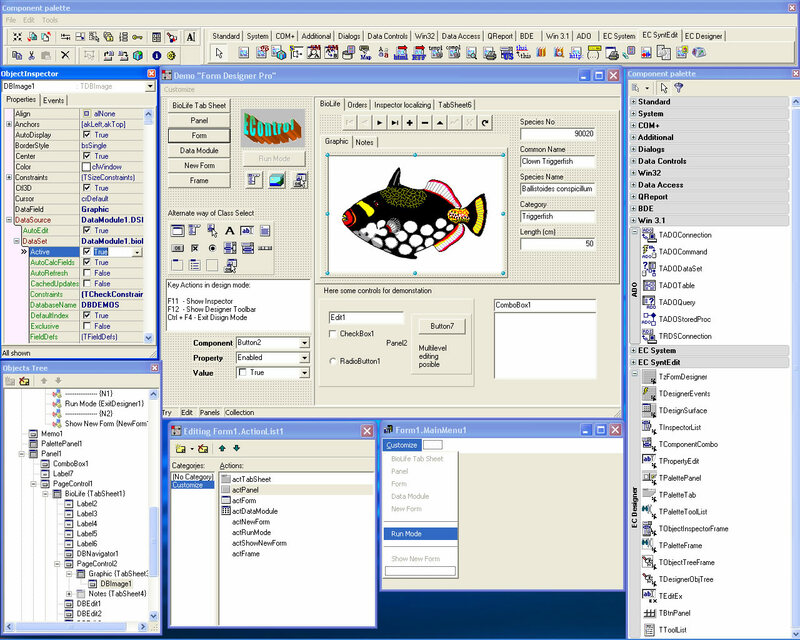 EControl Form Designer Pro may be easily integrated with different Scripters. Samples included in library demonstrates using EControl Form Designer Pro with Fast Script library and PAX Script library. There is a set of events that allow to handle events assignment. In "Integration with scripters" you may read detailed description of this task by the example of integration with Fast Script library. Only part of the form (for example, panel or tab sheet). EControl Form Designer Pro is very easy to use - just only drop TzFormDesigner, select Target and activate.